Sounds like a win-win, right? It sure is. And the best part: You can modify HIIT workouts for pretty much every fitness and ability level. So if you’re looking for an efficient workout you can do anywhere — with or without equipment — HIIT is definitely worth checking out. Keep reading to find out why HIIT workouts are all the rage and how you can fit them into your busy schedule. 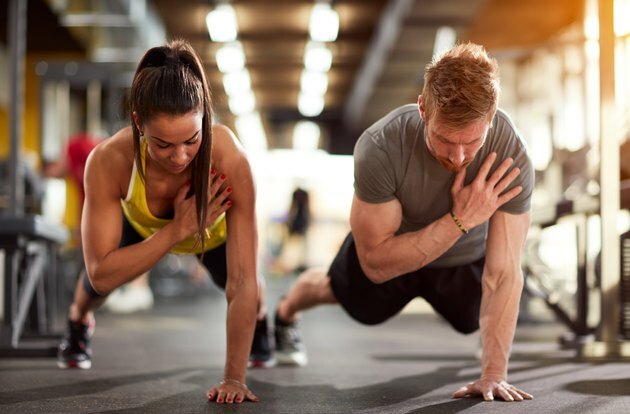 High-intensity interval training uses bouts of high-intensity exercise alternated with short rest periods to maximize calorie burn and cardiorespiratory fitness in half the time of low-intensity steady state cardio. In other words, it gets you fit, fast! 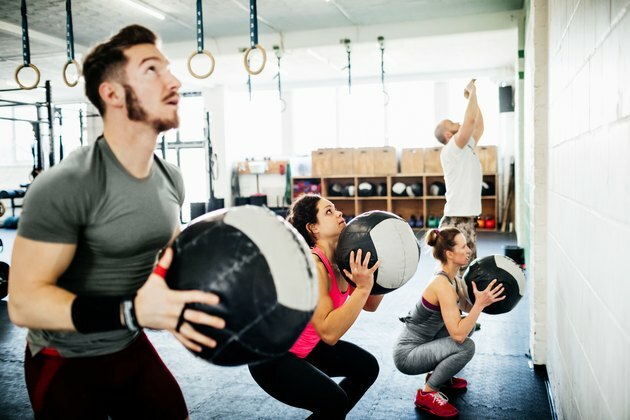 “HIIT is an exercise program designed to torch fat, increase anaerobic and aerobic capacity, and fit a full workout session into the smallest window possible,” says James Swift, certified personal trainer and owner of the Rancho Cordova, CA, location of Fit Body Boot Camp. What Type of Training Methods Use HIIT? Being able to knock out your strength and cardio workouts at the same time is one of the reasons HIIT is so popular. That’s why most gyms and training studios offer some form of HIIT in their class line-up. 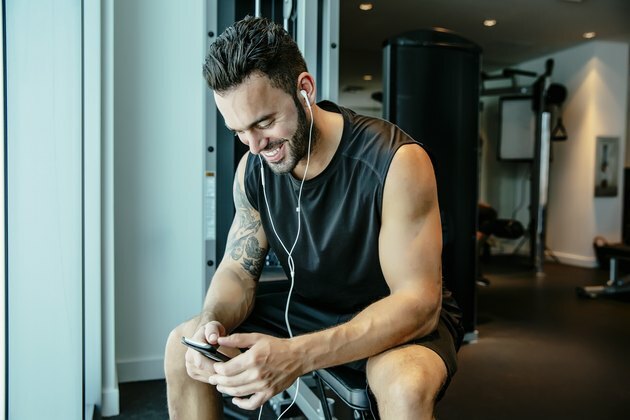 Plus, fitness apps, YouTube videos and online training programs all stream HIIT workouts and classes to users in the comfort of their own home. Anna Larsen, certified personal trainer and owner of the Idaho Falls location of Fit Body Boot Camp, says most HIIT is a combination of cardio and strength moves performed without equipment (body-weight and cardio intervals) or with equipment such as weights and bands, which help increase the resistance, intensity and effectiveness of the exercise. While HIIT will likely be the term you hear most often, there are other workouts similar to HIIT (or fall under the HIIT umbrella) you should know about. Tabata Training: This is a type of HIIT workout with very specific parameters. It's a four-minute workout consisting of eight rounds of 20 seconds of max effort with a 10-second rest at the end. Circuit Training: This involves doing a series of strength-based exercises, with no rest between each exercise. The rest comes at the end of a circuit and lasts for 30 to 60 seconds. As Many Reps As Possible (AMRAP): This term refers to a specific rep scheme that can apply to HIIT workouts. When this is part of a HIIT workout, you'll perform as many reps as possible of a specific exercise for a set amount of time. Before you lace up your shoes and pound out some sweat sessions, it's a good idea to have some core knowledge about how to get started with HIIT. Here are a few tips to consider when including HIIT into your overall fitness routine. 1. Do Your Research: This applies to working out alone, with a trainer or in a group class. Riley O’Donnell certified personal trainer at Fhitting Room, a HIIT studio in New York City, says to make sure you’re getting your workouts from a qualified source whose main priority is keeping you safe and injury-free. “There is so much information (and misinformation) out there, so take the time to know your source,” she says. 2. Make HIIT Work for You: If an exercise feels too difficult, O’Donnell says there's always a way to modify a movement to match your fitness level. If you're not sure how to do this, ask a trainer at your gym or search online for examples of exercise modifications. One easy way to modify for beginners (or for previous injuries) is to take the jumping out. So box jumps become step-ups and squat jumps become squats with a full-body extension at the end. 3. Slow and Steady Wins the Race: Since HIIT is geared toward a more intense workout, pacing yourself is critical — especially if you don’t want to burn out or increase your risk of injury. One way to ease into these workouts, says Swift, is to vary the intensity (speed or amount of weight lifted), work and/or rest periods, total workout duration and number of exercises you complete. Don’t go too fast with your progressions, because if you injure yourself, it'll only slow your progress. Go at your pace and progress when you're ready. 4. Find the Right Schedule: Aim for one to two days each week for a total of 15 minutes each session. As your body adapts, you can slowly increase the total time of your workout to 30 minutes. If you still want a challenge, you can add one more day of HIIT to your overall fitness plan. You shouldn't be doing HIIT workouts for much longer than 30 minutes. 5. Focus on Full-Body Movements: Larsen recommends focusing on exercises that work your entire body at your current fitness level or just slightly above it. Moves like squat and press, push-up, mountain climber and burpee all fit the bill. 6. Be Aware of Muscle Soreness: When you first start HIIT, Larsen says you may experience delayed onset muscle soreness or DOMS on your third or fourth day of training, which she explains as feeling like you got hit by a truck. “This is actually normal, and the best thing to do is continue doing small, short workouts for another two or three days to get over that hump,” she says. 7. Fuel Your Body for More Intense Workouts: Several theories exist about doing HIIT on an empty stomach. While the answer depends on who you ask, making sure your body is properly fueled before a workout is essential, especially for a beginner. To maximize energy, aim to eat a light meal one to two hours before working out and eat a post-workout snack or meal within an hour of finishing your session. Larsen recommends proteins, healthy fats and complex carbs to build energy and muscle, reduce body fat and keep you fueled for these workouts and to help repair your body when you're finished. “A protein shake and small serving of fruit is an ideal snack for HIIT workouts and will help your body to build muscle and burn fat from your workouts,” she says. Ready to get fit with HIIT? Here are a few workouts geared toward beginners that will get your heart pumping, your muscles moving and your fitness level up in no time. O’Donnell says to run each exercise in this workout as its own Tabata (20 seconds of work, followed by 10 seconds of rest). Repeat eight times with a one- to two-minute rest period between Tabatas. And always perform a two to three-minute warm-up before working out. To complete this HIIT workout, Swift says to perform each exercise for 45 seconds, followed by 20 seconds of rest. Complete one set of each exercise with a one-minute transition before starting the next round for three rounds total. And remember to do a two- to three-minute warm-up prior to working out. Alternate these next two workouts (#3 and 4), doing one each week, and Larsen says you’ll be on your way to a great start with HIIT. Warm Up: Perform each move for 30 seconds. Repeat two times. Workout: Perform each move for 60 seconds. Repeat two times. Cool down with 10 minutes of medium-paced walking and stretching. Cool down with 10 minutes medium-paced walking and stretching.